By Erica Chenoweth and Maria Stephan. Compares violent and nonviolent outcomes in different historical periods and geographical contexts, debunking the myth that violence occurs because of structural and environmental factors and that it is necessary to achieve certain political goals. 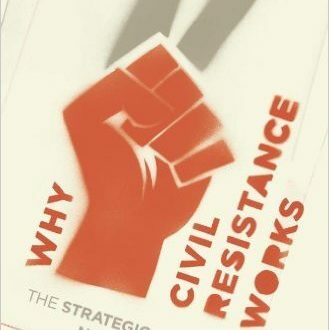 Instead argues that violent insurgency is rarely justifiable on strategic grounds and details the factors enabling nonviolent resistance campaigns to succeed and, sometimes, causing them to fail. Concludes that successful nonviolent resistance ushers in more durable and internally peaceful democracies, which are less likely to regress into civil war. Learn more.